With patient volumes on the rise, these increased number of transactions, in the face of limited resources, mean backlogs, data entry errors, and increased days in A/R. Now is the time to get expert help for your overworked staff. 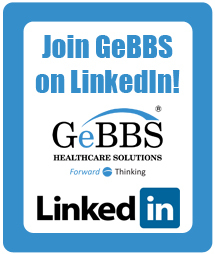 GeBBS has experience in working with all the leading EHR systems, including but not limited to Cerner, Epic, McKesson, NextGen, Allscripts, MEDITECH GE Healthcare, eClinicalWorks, and athenahealth. Our expert data capture services are driven by iP2P (Intelligent Paper to Payment), our proprietary workflow application engine. This solution automates the receipt, processing and posting of all RCM paper documents including charges, demographics, insurance payments, patient payments and correspondence. The iP2P® comprehensive Business Process Management tool can handle all your charge entry and payment posting outsourcing. The iP2P workflow engine streamlines the outsourcing process by automating the receipt and processing of all paper documents. The client portal provides real-time visibility into production, exception management, and auditing. The index module gives you access to all charges and explanation of benefits (EOBs) from the web portal. When charge capture and payment posting are done well, the benefits to your practice are obvious —improved cash flow is probably the most important. You can also expect better overall collections when billing problems are spotted early and addressed promptly, secondary payers are billed accurately, and patients receive prompt and accurate statements. Efficient charge capture and payment posting are a win-win for your practice.